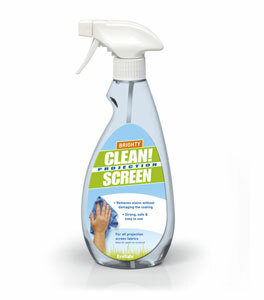 Strong, safe & easy to use cleaner for all kind of projection screens. Also for paint-on screens. Special formula which does not affect the reflective coating of a projextion screen. In convenient 0,5 liter trigger. Each bottle comes with an attached white cloth.